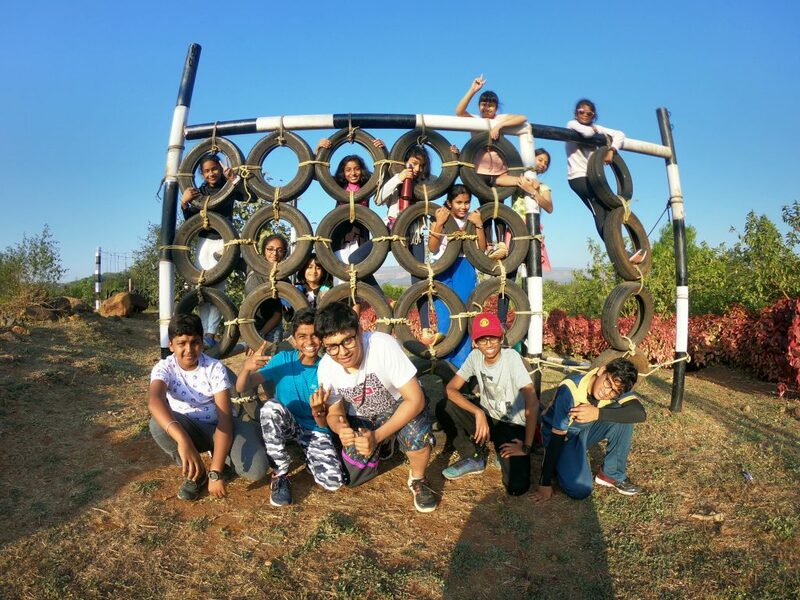 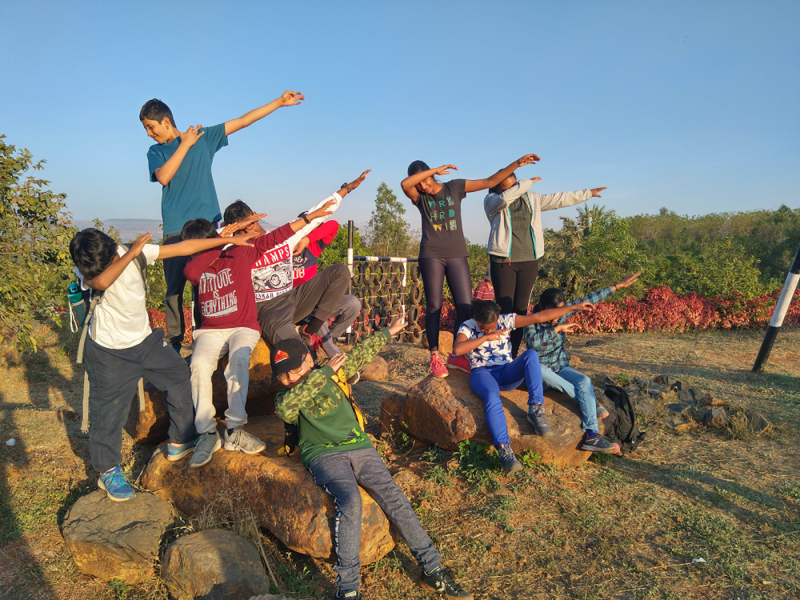 The students of Ekya Schools and CMR NPS had a fun-filled adventurous trip to the Western Ghats, Sahyadri Inheritance Camp in Kanha Village, Pune. 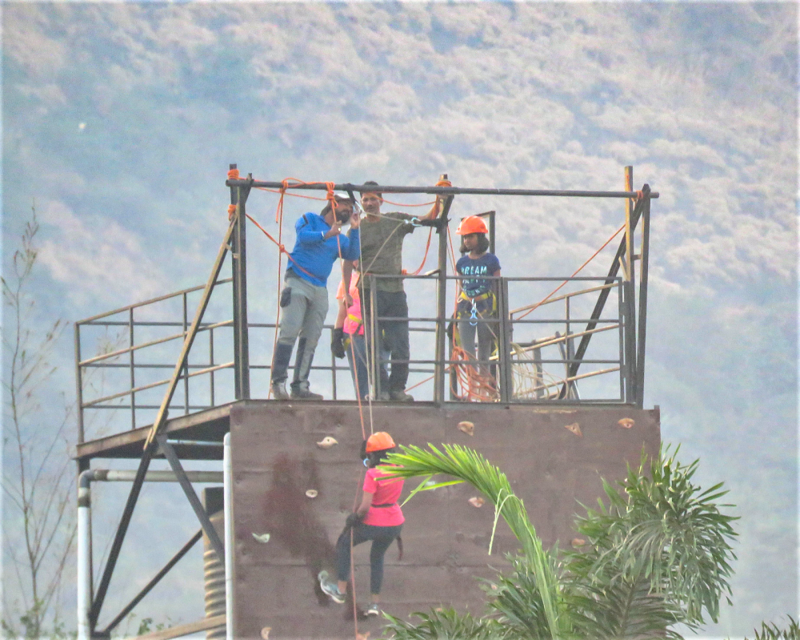 The four days trip was an awesome experience by being with nature under the guidance of the able and competent instructors and learning the skill sets required to be working in groups. The students flew to Mumbai and took a beautiful road journey to the campsite. 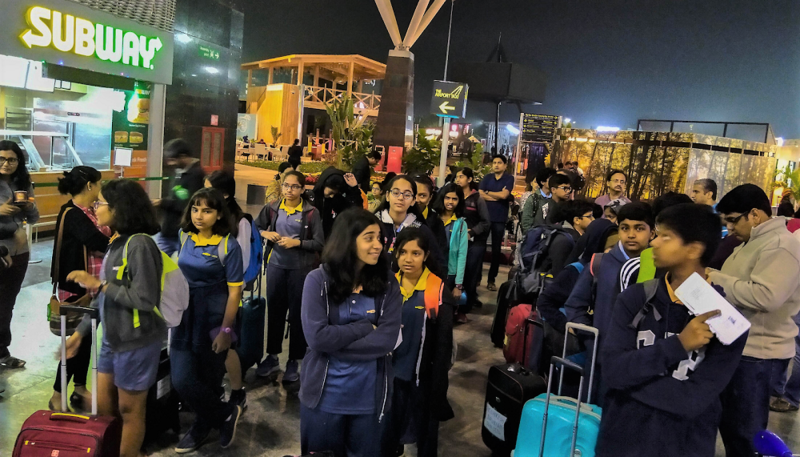 Students were divided into three different groups- The Challengers, The Racers and The Aviators, each team with one teacher and the respective instructors for the entire trip. 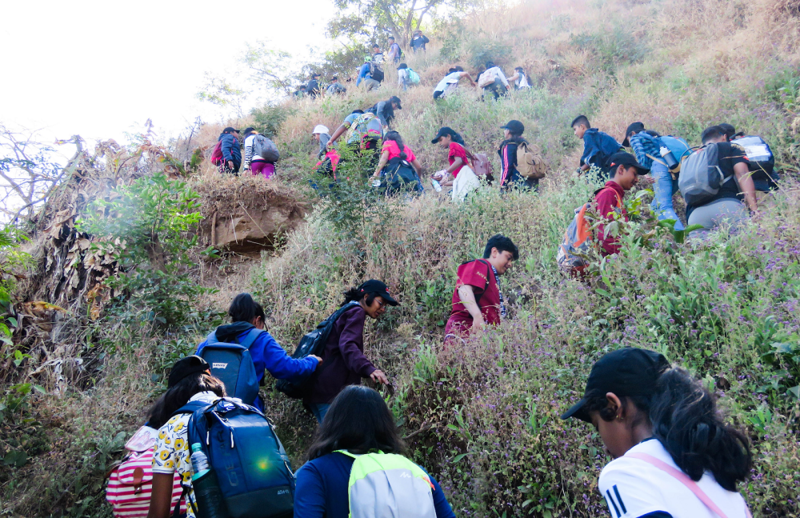 The second day was a day for trekking starting right after a yummy breakfast and light snacks on the bus. 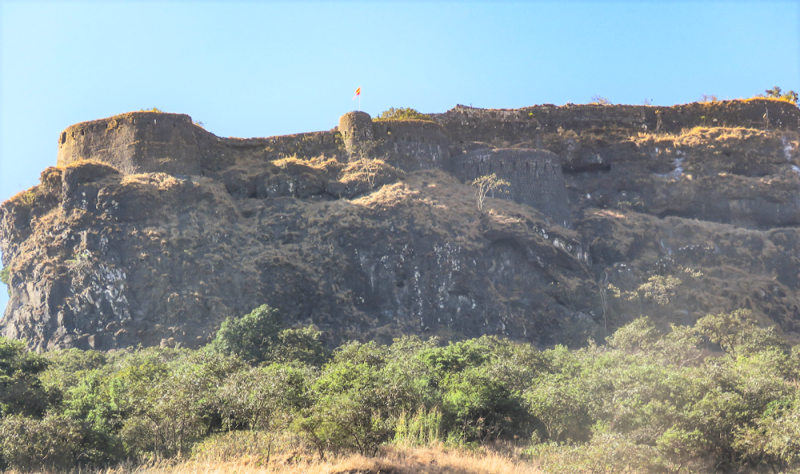 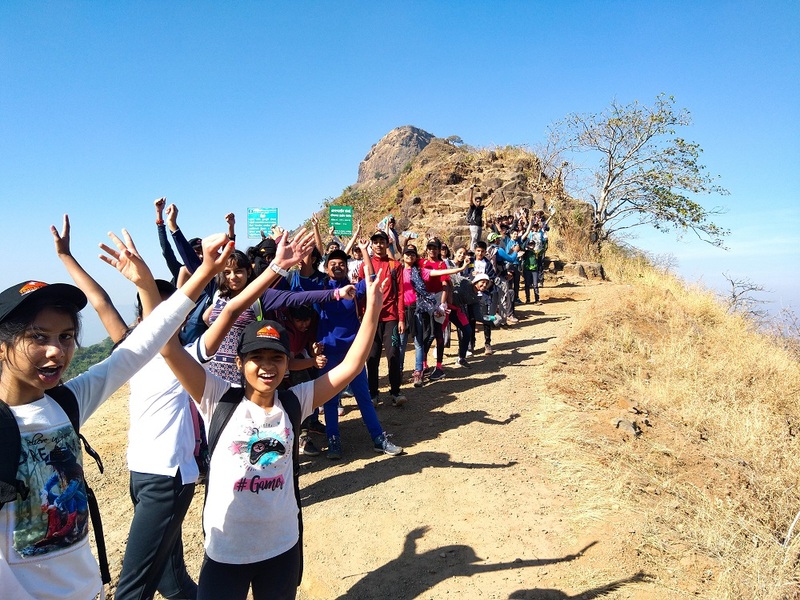 Students trekked at 3580 ft high to Tikkona Fort appreciating every bend, path and nature on their way and understanding the history and architecture of the era. 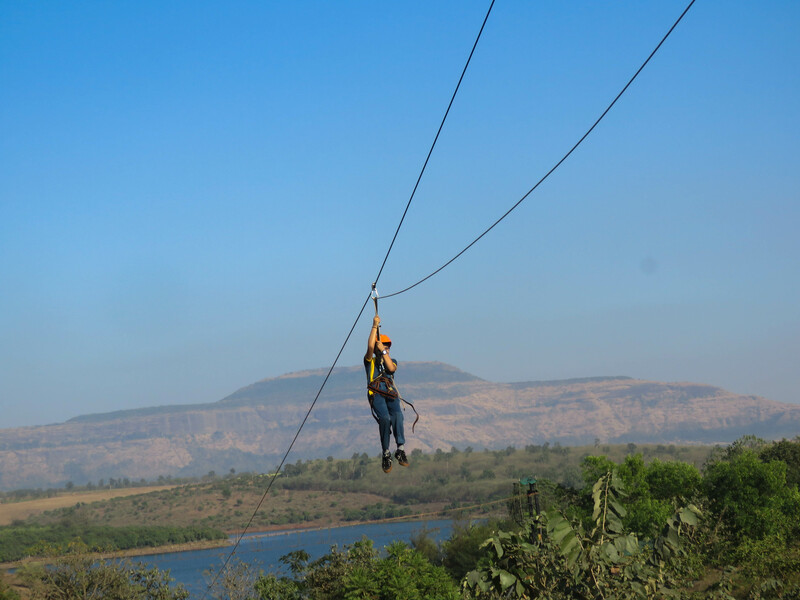 The excitement continued with Ziplining. 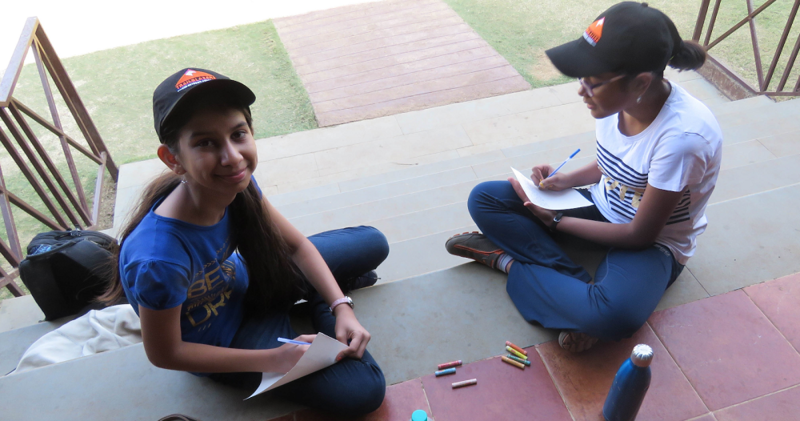 Post lunch activities like Blind game helped to remember each other’s names, post-card making, forming the longest human line, autograph bingo and number game threw lots of challenges to the already stimulated brains. 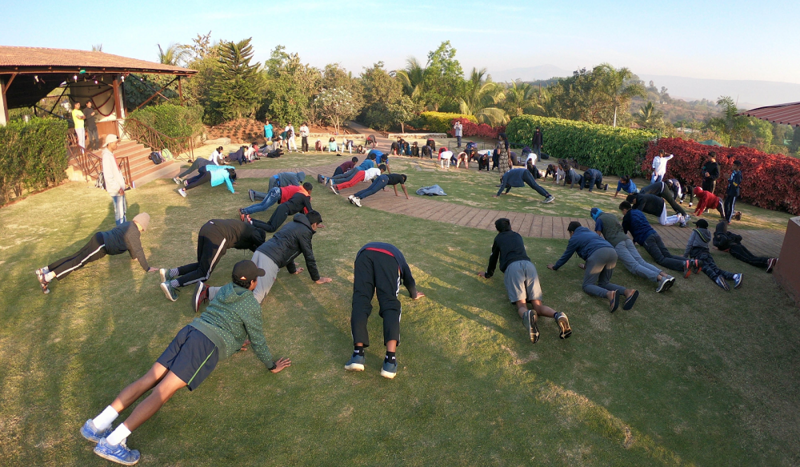 The following day was even more beautiful start with filling our lungs with fresh air doing yoga and stretching. 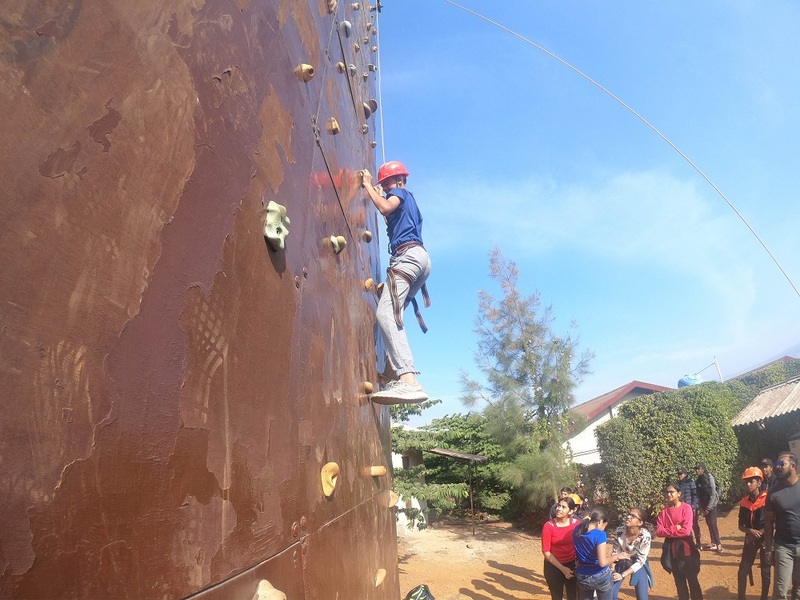 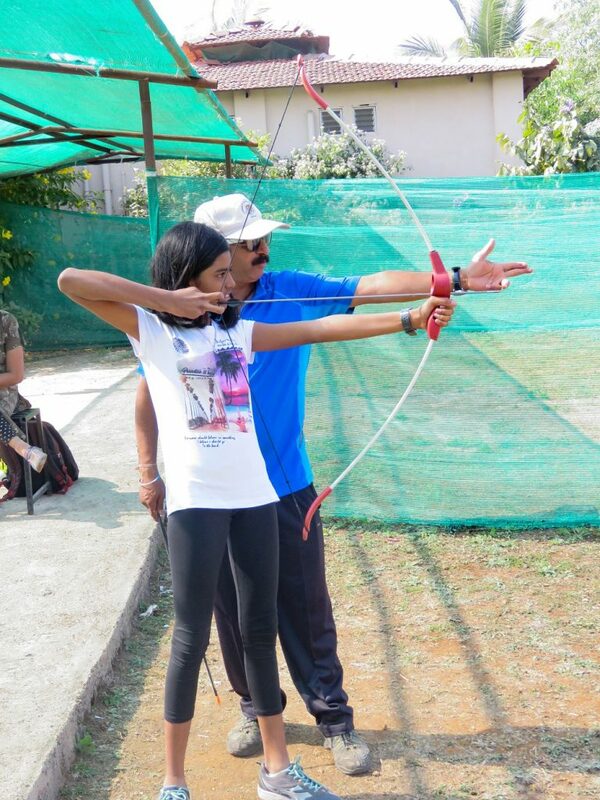 After breakfast, students had different games lined up like archery, rifle shooting, rock climbing, and Burma bridge. 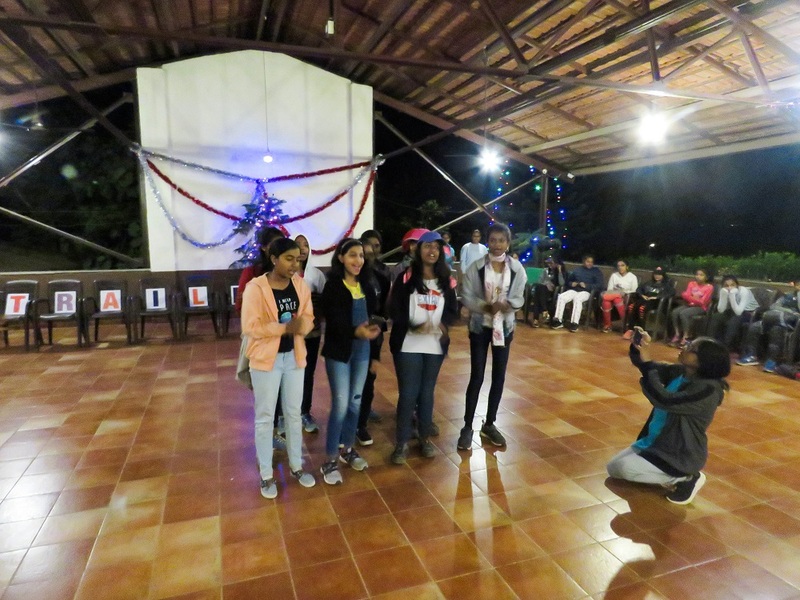 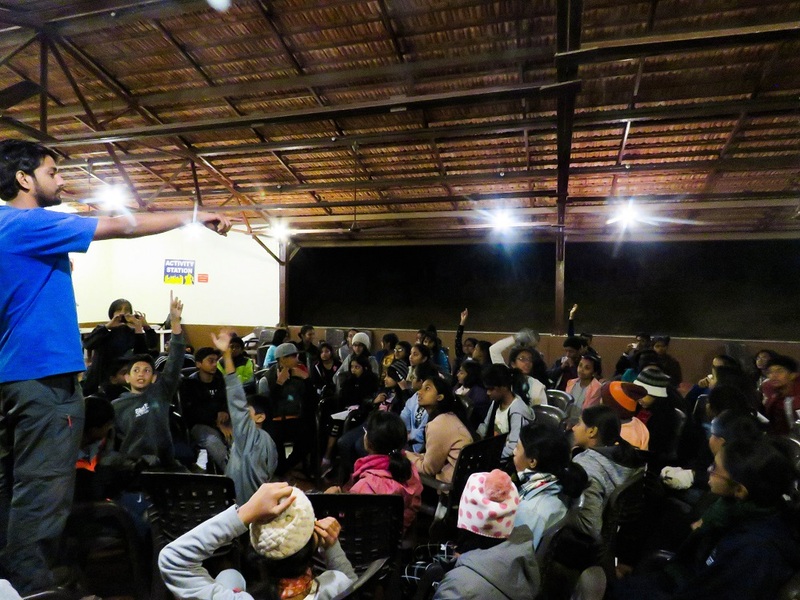 At night, there was a talent show and dance around the campfire. 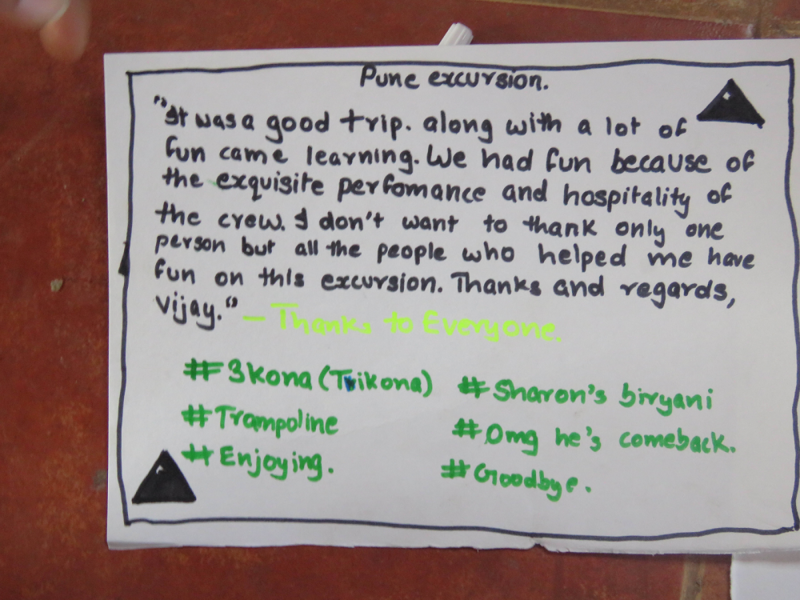 A long eventful day ended with some entertainment. 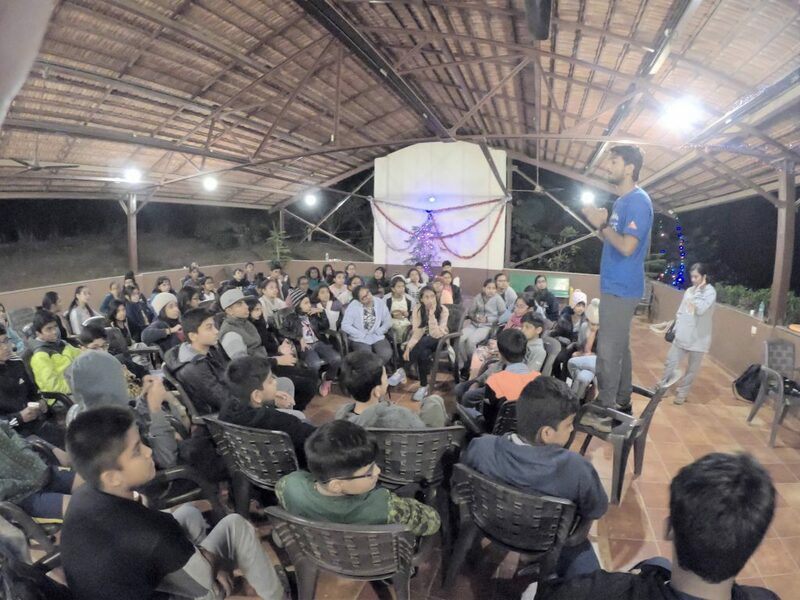 A talent show and dance around the campfire made us forget the tiredness of the day. 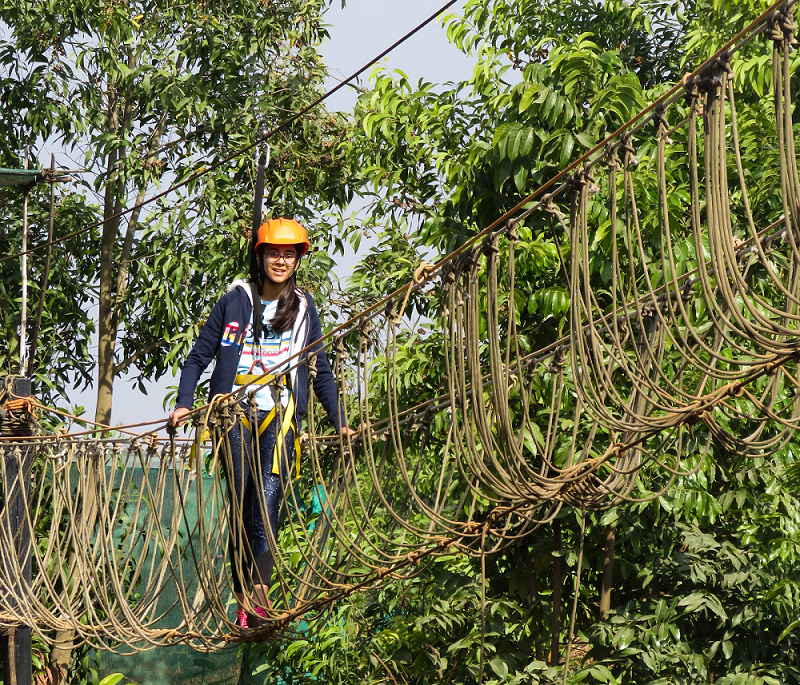 The last day was even more exciting with nature’s trail, followed by a photo shoot. 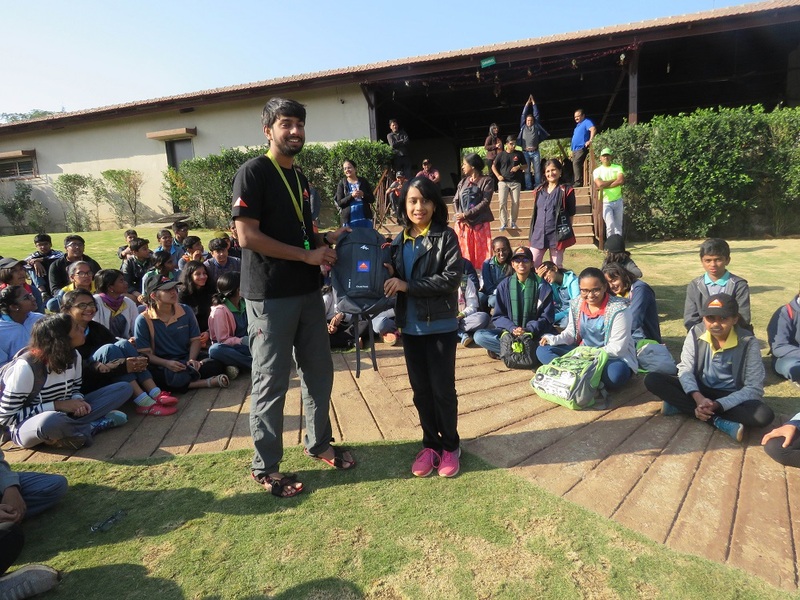 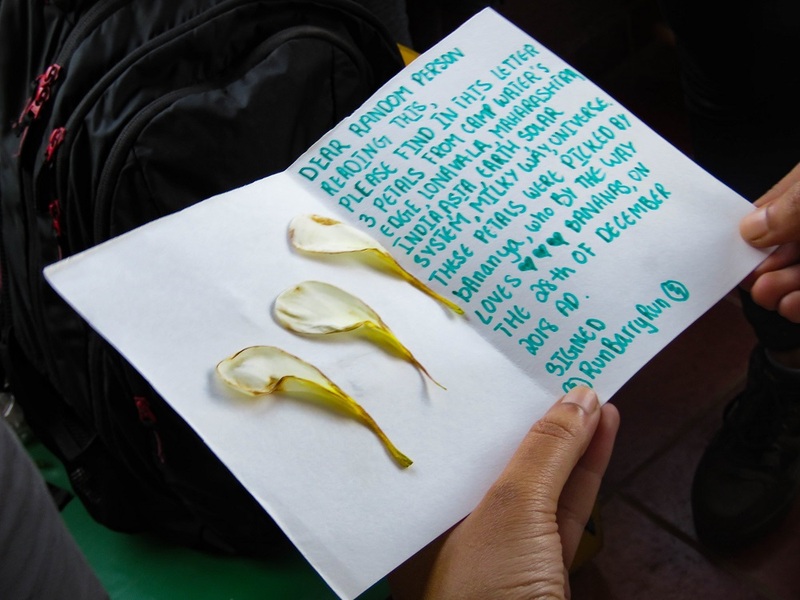 A token of appreciation was given to five students who were identified as the most talented students in different ways.